The United Nations’ Global Goals has launched #WhatIReallyReallyWant, a music video applying the Spice Girls 1996 hit “Wannabe”, to highlight key issues facing women and girls around the world. The performers are shown in four different settings, promoting quality education for women, an end to violence against women, an end to child marriage and equal pay for equal work. The music video stars Gigi Lamayne and Moneoa from South Africa, Seyi Shay from Nigeria, Bollywood actress Jacqueline Fernandez from Sri Lanka, M.O from the UK, Taylor Hawala from Canada and Larsen Thompson from the USA. The Global Goals Girls Wannabe music video will be shown in cinemas across the world through a deal with SAWA, the global cinema advertising association. Viewers are called to join in the campaign online at globalgoals.org, by sharing a picture of #WhatIReallyReallyWant for girls and women. Responses will be shown to world leaders at the UN General Assembly during Global Goals Week in September 2016. 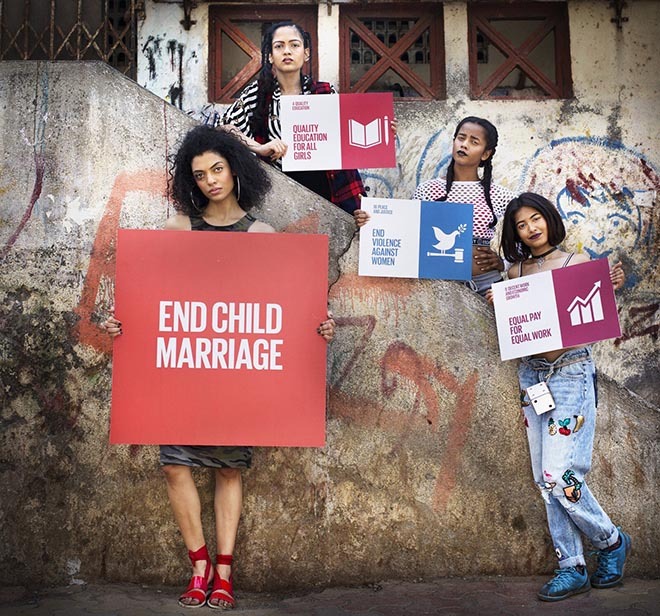 The Global Goals Girls Wannabe music video was developed as part of Project Everyone at The Global Goals by campaign director Hannah Cameron and producer Polly Mallinson, working with creatives Rosie Arnold and Vix Jagger at BBH London. Filming was shot by director MJ Delaney via Moxie Pictures with director of photography Leo Bund, executive producer Dawn Laren, line producer Lucy Tate, stylist Patricia ‘PC’ Williams, art director Soraya Gilanni. Sound was produced at Wave Studios by sound engineer Martin Leitner and producer Lucy Rogoff. Editor was Sarah Iben at Final Cut, Los Angeles. Post production was done at MPC by 2D lead artist Jack Stone. Print and out of home work was by photographer Veronique de Viguerie with Getty Images.